Australia, although it was expected in 2005. Will we see the new Espace instead? 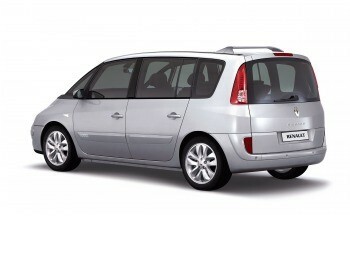 On Thursday 9th February, 2006, Renault's President and Chief Executive Officer Carlos Ghosn announced "Renault Commitment 2009," a growth plan whose ambition is to make and sustain Renault as the most profitable European volume car company. - Sell an additional 800,000 units in 2009 as compared to 2005. "A new, exciting page in the history of Renault is being written, based on the motivation and dedication of the women and men of our company," said Mr. Ghosn. Renault will launch 26 new products better focused on the needs and aspirations of its customers. The strength of the product plan will lead to an unprecedented acceleration of new vehicle launches: in addition to the two launched in 2006, Renault will launch an average of eight models each year from 2007 to 2009, which is double the number launched from 1998 to 2005. Half of these cars will expand the lineup. - Entering new segments where Renault is currently not present, such as SUVs, 4x4s, crossovers and niche vehicles. - Developing products to support growth in markets outside Europe, such as with the Logan programme. Renault’s sales outside Europe are expected to grow from 27% of total sales in 2005 to 37% in 2009, an increase of 80%. The average age of Renault products sold in Europe will drop from 3.8 years in 2005 to 2.2 years in 2009. 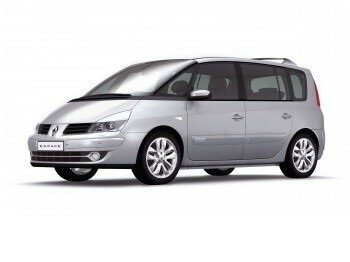 The enrichment of Renault’s offer is expected to increase sales by an additional 800,000 units in 2009 compared to 2005. The next Laguna, to be launched in 2007, will be among the top three in its segment in product and service quality. The progress made on this product will be applied with the same diligence to the rest of the lineup throughout the world. In terms of fuel economy and CO2 emissions reduction, the Renault lineup is among the most efficient in the world today. The company’s objective is further improvement. By 2008, Renault will sell one million cars emitting less than 140 grams of CO2 per kilometre, of which one-third will emit less than 120 grammes. In addition, 50% of petrol-powered engines for sale in Europe in 2009 will have the ability to operate with a mixture of gasoline and ethanol. By the same date, all diesel engines will be able to operate with 30% diester2. Within the Alliance (the Renault/Nisan Alliance), Renault is preparing a full range of alternative technologies, such as hybrids, fuel cells and electric vehicles. In France by the end of the plan, Renault will test fuel cell vehicles equipped with the latest Alliance technologies. As the current European safety leader, Renault will continue to innovate in this field to strengthen its leadership position. - Research and development expenses and investments for new vehicles will not exceed 11.5% of revenues in the period from 2006 to 2009. Cross-functional management that is focused on customer satisfaction and driven by profit is being established through regional management, globalised functions, programme management and 11 cross-functional teams. Renault’s performance will be measured by the increase in its operating margin. The company commits to reach 6% operating margin in 2009. This achievement - which will be a record for Renault - will be surpassed the following year. This commitment will make and sustain Renault as the most profitable European volume car company. A linear and significant increase in the dividend – from 1.8 euros per share in 2005 to an objective of 4.5 euros per share in 2009 – will be proposed to Renault’s board of directors, who will submit a yearly resolution to the annual shareholders’ meeting. "With a clear vision, and prioritised, precise and measurable objectives, I am convinced that Renault will become, in the framework of the Alliance, a great company with sustainable high performance in the global automotive industry," said Ghosn. 1. Luxury vehicles are those with a sales price above 27,000 euros, according to the price commonly used in the global automotive industry to define models in that segment. 2. Diester is a fuel obtained from vegetable or animal oil. 3. Renault’s standard capacity utilisation rate is calculated on the basis of a full capacity rate of 5,000 hours per year. This rate is more demanding than the one usually reported by the industry, which runs between 3,760 to 4,000 hours per year. Australia will have see more Renaults hit the road!